If anxiety were a person, what would you tell her? This is about me and my life. It is nonfiction. It is about my anxiety and my emotions. This including depression. I know I can relate to a lot of people, so I decided to write this. All opinions are my own. I end each "chapter" with nerd to go with my WattPad name.. COVERS ARE NOT MINE!! CREDIT TO WHOEVER! I GOT THESE ON PINTEREST! During an anxiety attack you can feel like you're drowning with the absence of water; this is my experience. The first one happened during the school play. Margo Lin had been nervous about it during that week, She had to play a solo on the piano but just couldn't do it. She didn't get to start before her breath quickened into pants and her hands started trembling, she quickly fled from the stares of others and collapsed outside of the gym. The doctor said it was a panic attack and a year later she was diagnosed with anxiety. She became anxious over the smallest things and the panic attacks had kept up, She'd only get 1 every 3 days if she was lucky. After dealing with the struggles of anxiety, she gave up, planned on ending it all on her eighteenth birthday. That is, Before she met Todd. 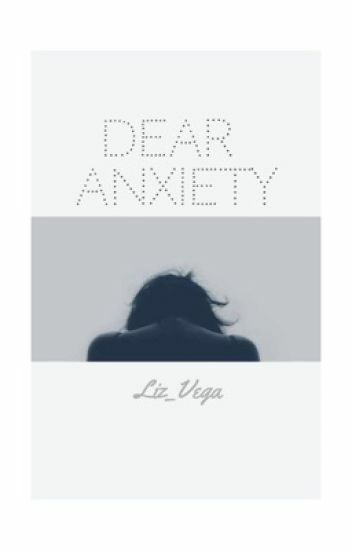 Anxiety is hard; I decided to write this 5 years ago and I rarely update. I come back to read what I had as this description, "there is no escape." I lied, there is an escape. I don't know how to feel to about this book anymore but most seem to enjoy it so I will leave it; I may update here and there. I just wanted to come back after 5 years and tell you that it gets better and I hope you find happiness, enjoy. "It's like a rocking horse teetering on the edge of your fingertips, rocking back and forth, back and forth, almost falling a couple times but not quite making it there yet." Signs, symptoms, and treatment/help for the six major anxiety disorders. Anxiety is not a joke. This is based on Anxiety, some poems and what not. So, enjoy. Some of these aren't mine, the owners get the credit. (Most came off this website; http://hellopoetry.com with the Anxiety hash-tag) I am using other people's poems and words because its hard to describe. And these poems honestly need to be seen by others. Any hateful comments, will be deleted. I guess this is a little triggering. Not really sure, but I'm just warning you now. A girl who has anxiety attacks and the schools most poular boy. You would never imagine them falling in love now would you? A girl named Messa and a boy named Charlee fall in love in the oddest way. A bet. Charlee's friends made a bet that he couldnt get in her pants in 3 months time. While doing the bet he started to fall for her. She started to fall for him. Watch how their weird love story forms to be something real leaving his friends and the whole school confused. This book is just a bunch of stories about my life with Social Anxiety. I hope it helps others relate and we can go through this together. Walking down the hallway, heart pounding, people staring. The one person that I can let my guard down with. All the way on the other side of the hall. Times unfreezes and all eyes are on me. No I'm less then a freak. I reach out and I grab the sweater of my best friend. It's not my fault. I mean, I never asked for any of this. I can't help that it's in my genes. I can't help that I'm fat.